Select Data to View: Batt and DO Probe Cond etc. 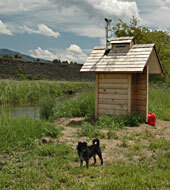 Gage house contains a stilling well and recording-telemetry equipment. 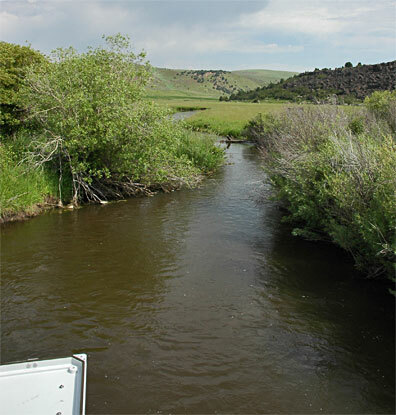 Bannock County, Idaho, on upstream side of a private pedestrian bridge, 100 feet east of Marsh Creek Road, 0.5 mi west of Interstate 15, 5 mi south of Inkom and 6 mi north of McCammon. 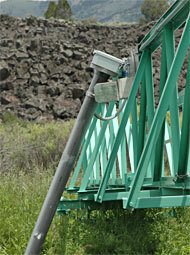 The hinge-mounted pipe suspends and protects water quality probes.